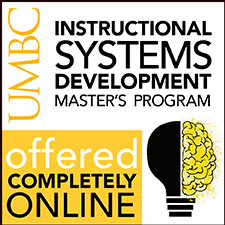 eLearning is an abundantly visual medium. As a result, designers and developers who can think visually are able to envision the final product, conceive visuals for content and visualize how information fits together. The great news is that visual thinking can be developed. According to Dan Roam, author of The Back of the Napkin: Solving Problems and Selling Ideas with Pictures, our built-in visual thinking tools consist of our eyes, our mind’s eye and a little eye-hand coordination. He then proceeds to teach readers how to compose sufficiently simple pictures with just a few components, specifically noting that software is NOT needed. The ideas in the book, of course, are supported by great sketches. Although this book is oriented toward the solving and selling of ideas in business, most of the techniques and concepts can be easily transferred to the general notion of solving problems through visual thinking. I’m a big fan of this approach. When I have a lots of information and content to understand and organize, I sit on the floor with large pieces of paper and start diagramming like mad. It might take ten tries to pull it altogether, but drawing definitely helps many of us to think things through. Often, our roles expand beyond design and development and into the business realm. We might need to convince a client that training will solve a problem, show a SME a quick sketch for an interactive activity, or visualize some concepts to help a client understand where we’re going with an idea. In this light, the book can be quite handy for multiple purposes. The Back of the Napkin is organized into four sections and here’s a quick summary of each one. Introductions: In Part I, get ready to be convinced that anyone can become competent at visual thinking. Why would you want to? Because it promotes problem solving and facilitates communication. 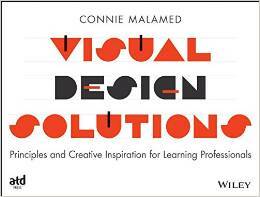 The author then explains how looking, seeing and imagining are the processes of visual thinking. Discovering Ideas: Here, the author describes the principles and exercises for seeing the whole picture and then analyzing this picture in an effort to solve a problem. 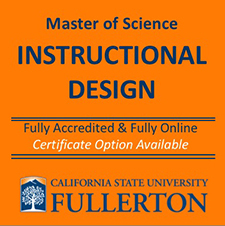 This second section is particularly relevant to designing instructional products. By the end of this section, readers have an idea of how to select the best framework for showing information visually, which helps one focus on the most essential elements of a problem. Developing Ideas: In Part III, the reader learns how to take the framework and turn it into a picture. This involves running through many types of visual models. The ultimate goal is to take advantage of visuals for expanded thinking and efficient problem solving. Selling Ideas. 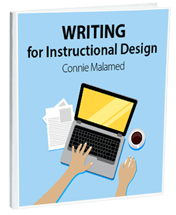 In our field, the final part of the book could be relevant when you need to convince a stakeholder, an executive or a client that your ideas are workable. How? Use Dan’s method for discovering, developing and showing your solutions. One thing about the book’s approach—if you’re looking for a quick and easy 1-2-3 experience, then this isn’t for you. The topic is somewhat complex and the author doesn’t skimp on providing depth. So you’ll need to think things through, ponder and maybe even sketch to really get it. That’s how I like it. 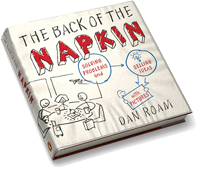 The Back of the Napkin: Solving Problems and Selling Ideas with Pictures by Dan Roam. Publisher: Portfolio, 2008. I agree completely with you on this book. I love the way Dan Roam demystifies visuals and drawing and helps us see that we can all do this. You are also right that the book goes into some depth, it’s not a ‘skim-read’, I’ve found I’ve gone back to it numerous times over the last year. Nice to hear from you, Michael. Yes, I think this is an important book and it goes deep, doesn’t it?